So cute and yummy!! Happy Easter Sherri! This project is simply adorable! I love the stamp and tag you chose. These are just adorable! I love love love them!!!!!!!!!!!!!!! You are amazing!!!!!!!!!! These are wonderful Sherrie! Have safe travels and enjoy the holiday! I really didn't do much for Easter this year, no candies, no baskets, BUT we are having a small dinner at my sister's home so it will be fun to see all of the little people gathering eggs and having a great time. Your little treats are just so yummy, I'm wishing I had done something similar! I loved these when I saw them on FB...had to come by and wish you a happy Easter! Hope you're enjoying your trip and family time. Love this Sherrie! You have been so busy!! I love this!! Yummy and CUTE!! awww...what sweet, yummy treats! Your tags are super cute and I know these will be a huge hit! Hope you and your family have a wonderful Easter! 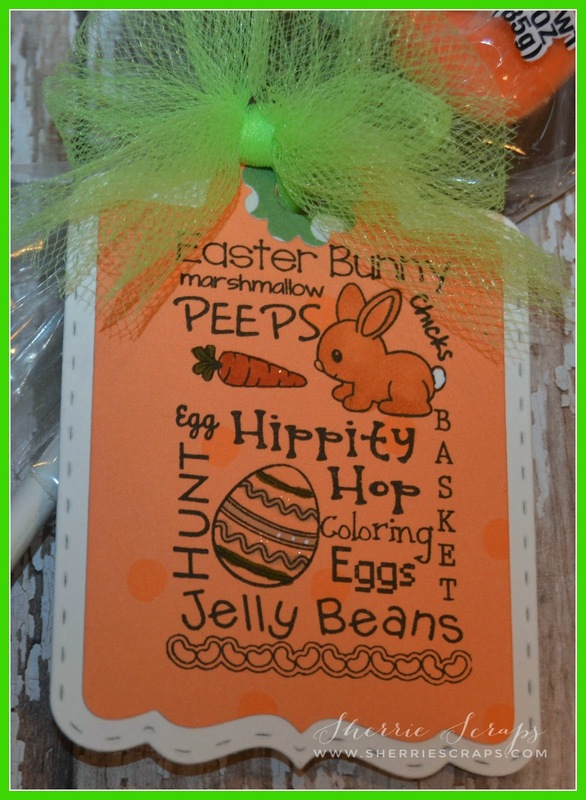 What a fun Easter treat - love those tags!! Thanks for linking up with Craftin Desert Divas "Anything Goes" linky party! 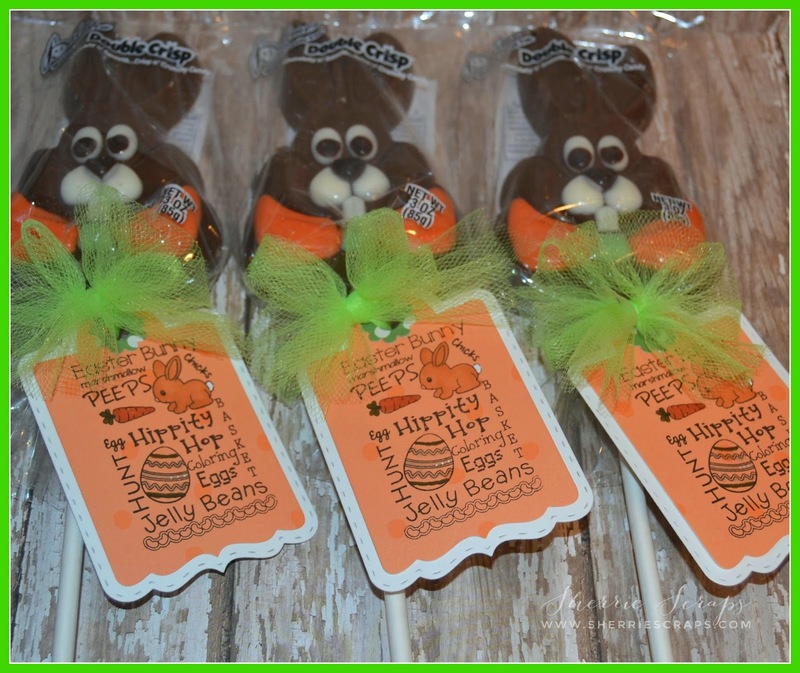 What a adorable Easter treats!! Have a great day. That little bunny image is so cute! And the treats look so yummy! 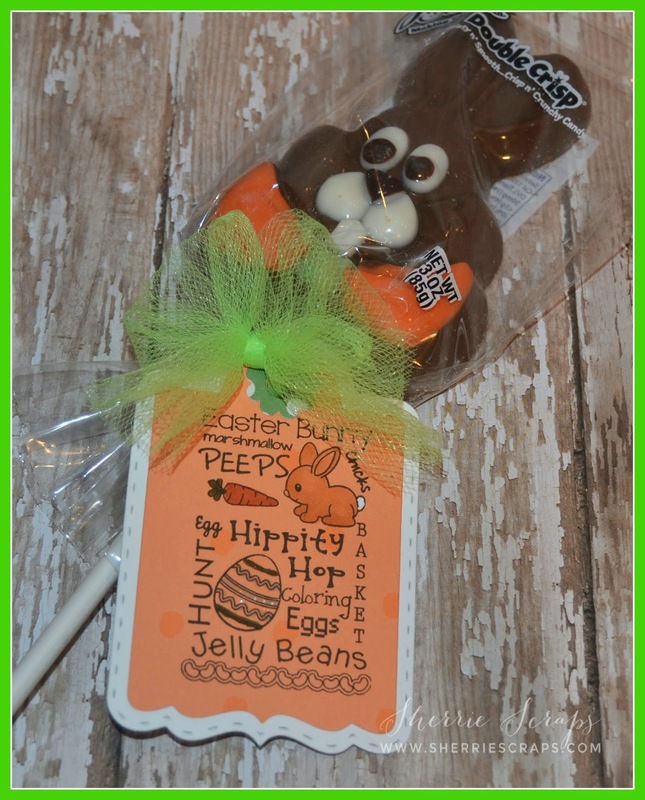 This cute little tag looks awesome paired up with that yummy looking chocolate bunny!!! I love how you jazz up your treats! I'm super happy that you had a great Easter with family.... we had a beautiful Easter as well, spent it down the Jersey shore, 27 of us altogether! Thanks for joining us this week in our Funday Friday challenge! Sherrie ~ Oh these are just ADORABLE!! Look at those YUMMY treats!!! I need those for next year! I hope your Easter and trip went GREAT!! Aren't these ADORABLE! Oh my gosh I LOVE this idea! Yummy treat and sweet tags:) Thank you for joining Decorate to Celebrate.